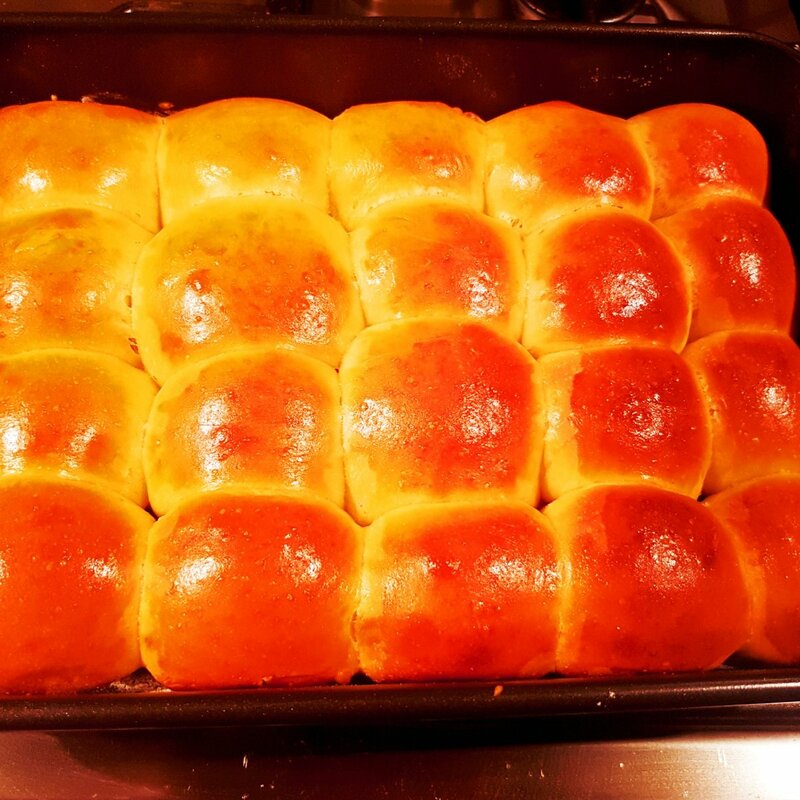 Its hard to resist this fresh and tantalizing yeast aroma of dinner rolls aka blocade. It’s fluffy and rich with butter very soft and smooth. This delicious goodness perfumed my entire house and neighborhood. I am planning to make another as soon as l can. 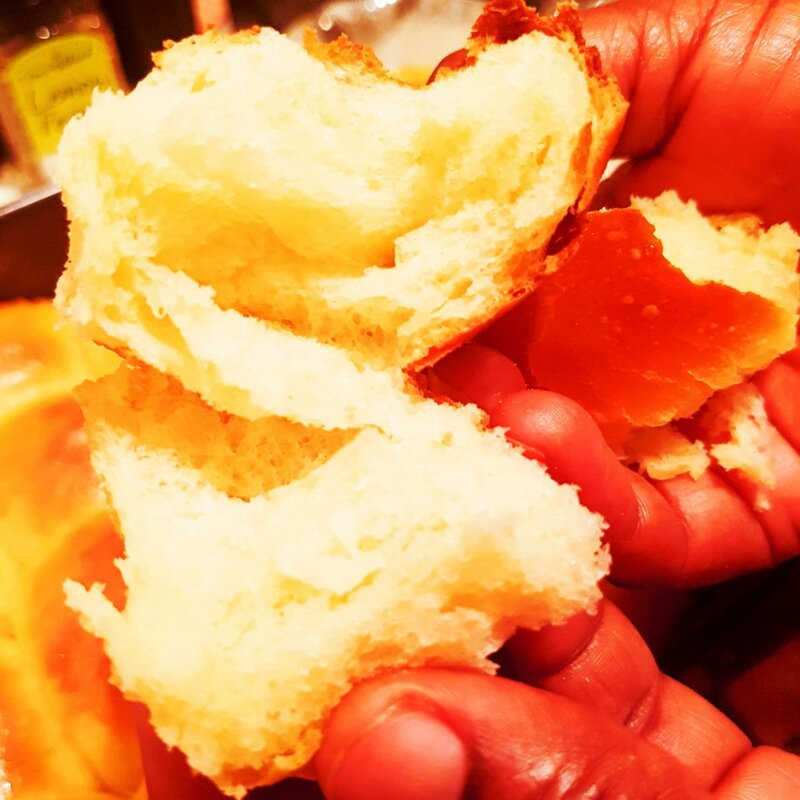 In Cameroon this dinner rolls are called blocade. They are very delicious and are good for breakfast . You will be very surprise how easy it is done. I will introduce to you t my indredients and then method. 2 tablespoons unsalted butter / margerine. In a large mixing bowl combine yeast, warm water and sugar abd set aside for 5 – 8 mins. Mix sugar egg and salt properly. Add flour bit by bit or gradually. Place dough on a working surface and kneed properly. 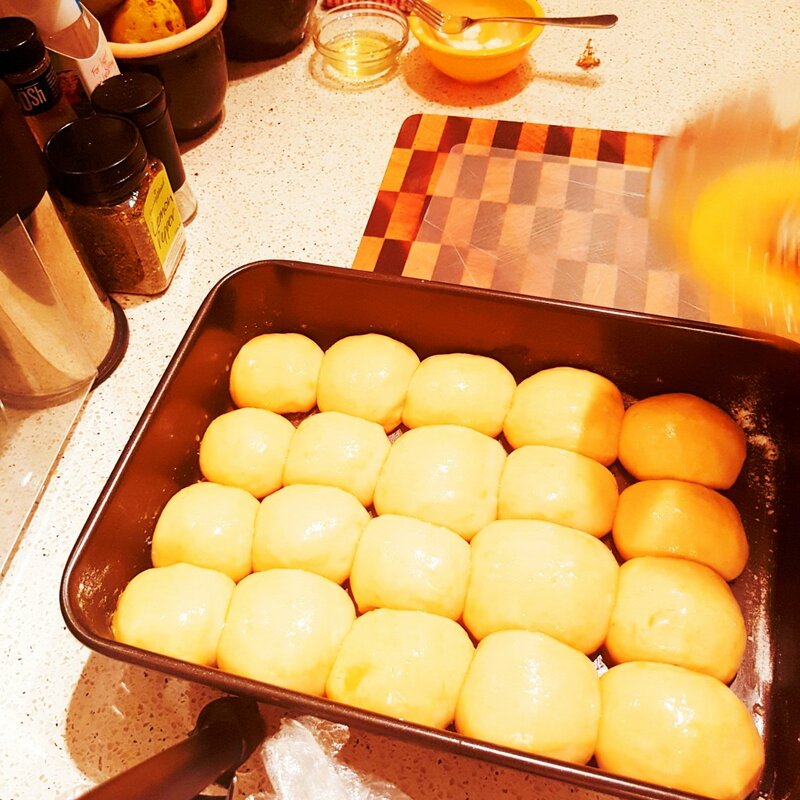 Divide dough into small pieces , and mould each into a smooth round ball. 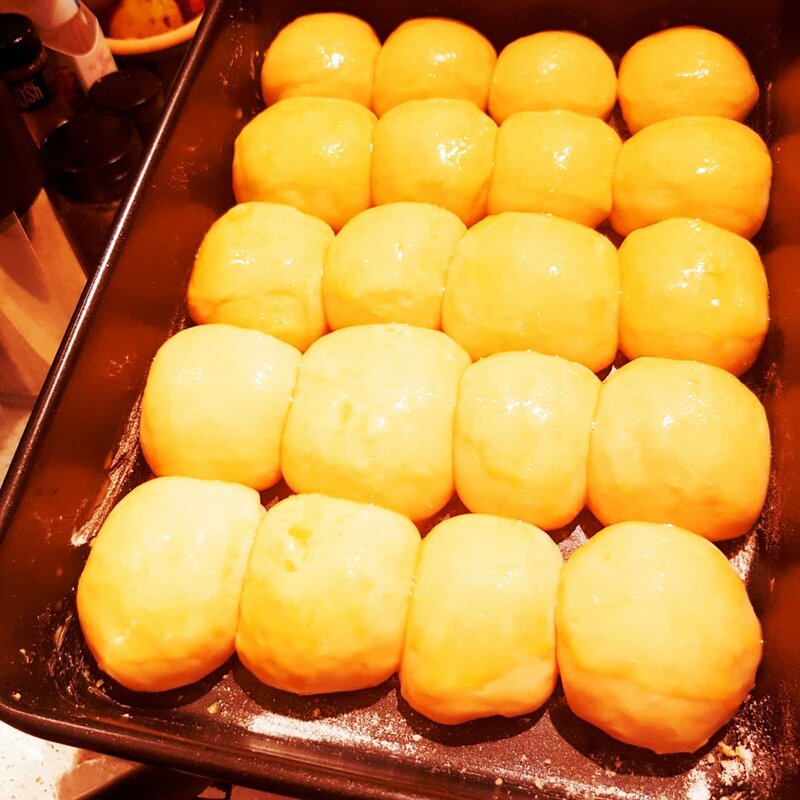 Place balls into baking pan leaving some equal spaces in each rolls. Leave for 1-2 hours to double in size. Preheat your oven 170 C / 375 F .
Open and egg wash the top before taking to the oven. Bake for 15-20 mins until golden brown. Please click to the blue libk below a nd watch full recipe. 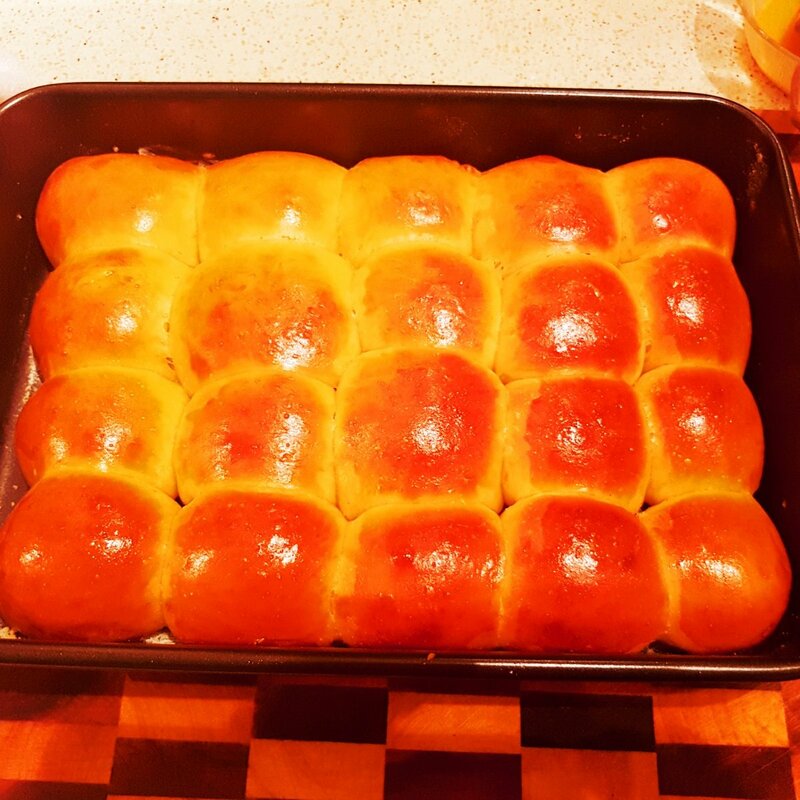 Dinner rolls was a success. Next Post HOW TO MAKE SUPER FLUFFY SCRABBLED EGGS.